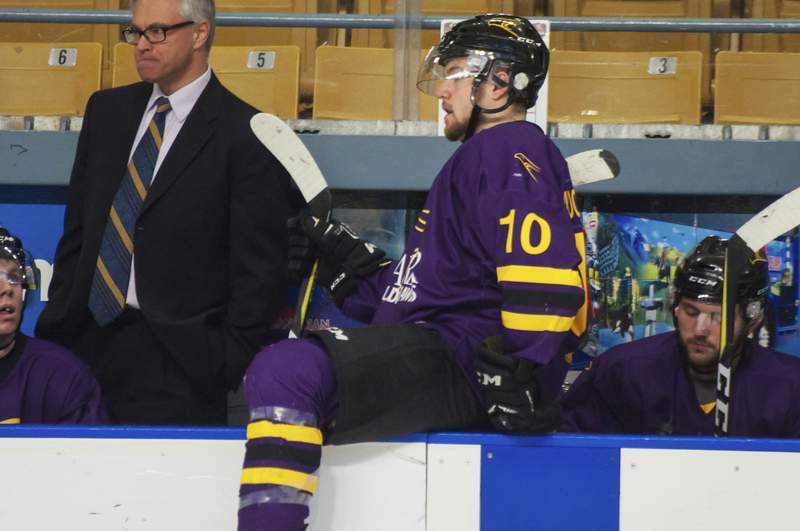 Charity Matheson | Special to The Journal Gazette Former Komets coach Greg Puhalski now coaches the Wilfrid Laurier University Golden Hawks. Eva Ou | Special to The Journal Gazette Former Komets coach Greg Puhalski, left, now coaches the Wilfrid Laurier University Golden Hawks. Greg Puhalski believes coaching in the college ranks isn't all that much different than it was with the Komets. Success is based on the ability to recruit players with talent and leadership qualities, Puhalski said, and on the ability to teach them how to succeed on and off the ice. For what Puhalski did as both as a coach and a player, he'll be a big part of the festivities at the ECHL All-Star Classic this weekend; he'll be inducted into the Toledo Hockey Hall of Fame before the Komets play the Toledo Walleye at 5:30 p.m. today at the Huntington Center in Toledo, Ohio. Puhalski, who guided the Komets to the United Hockey League's Colonial Cup in 2003, ranks second in franchise wins with 271, behind Al Sims' 437. He's been the head coach at Wilfrid Laurier University – his alma mater in Waterloo, Ontario – since 2010. Puhalski, 54, hopes it's where he'll end his career. Puhalski played for the Golden Hawks from 1987 to 1991 before his professional playing career with the Toledo Storm of the ECHL, which spanned until 1994. Also going into the Toledo Hall of Fame today are Chris McSorley, who coached him in Toledo, Moe Benoit, John McGrath and Mike Eruzione, who starred for the U.S. 1980 Olympic Team. The ECHL will also make inductions into its Hall of Fame that include Puhalski's former teammates Jim Bermingham, Alex Hicks and Rick Judson, along with former ECHL commissioner Brian McKenna. Judson played for the Komets in 2000-01, Puhalski's first season behind the Fort Wayne bench. Pualski coached the Komets from 2000 to 2006 and missed the playoffs only once. Recruiting players such as Colin Chaulk, Sean Venedam, Dustin Virag and Kevin St. Pierre was a big part of that success. 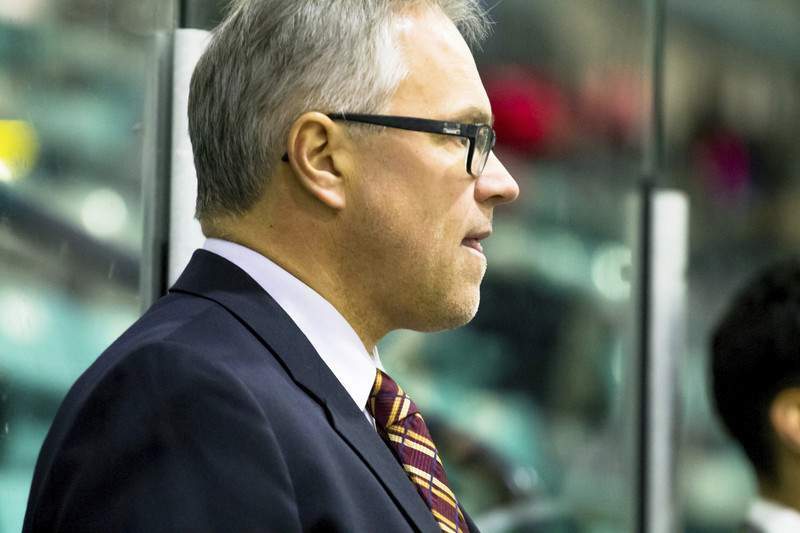 Most of the recruiting he does is of players coming from the Ontario Hockey League. When he lands a player, Puhalski has to do a lot of teaching, but that's not all that different than when he was at Memorial Coliseum. Puhalski looks back on his time in Fort Wayne and believes he was blessed to have great leaders in Fort Wayne, such as Chaulk and Troy Neumeier. During this preseason, he even got to coach against Chaulk, who's now behind the bench of the ECHL's Brampton Beast. “A big part of any successful organization is the leadership you have with your team and it's no different with university hockey and you just have to try and develop it even more,” Puhalski said. The All-Star Classic is 7 p.m. Monday at the Huntington Center. The Komets' Justin Hodgman will captain the Western Conference team. Joe and Aaron Franke will be equipment managers. Note: The Komets released goaltender Hayden Stewart, who stopped 8 of 10 shots in relief of Lukas Hafner in Wednesday's 10-8 loss to Kalamazoo. Eric Levine, claimed off waivers from Newfoundland, will now be the backup to Hafner.